Vector image collection with racing designs. 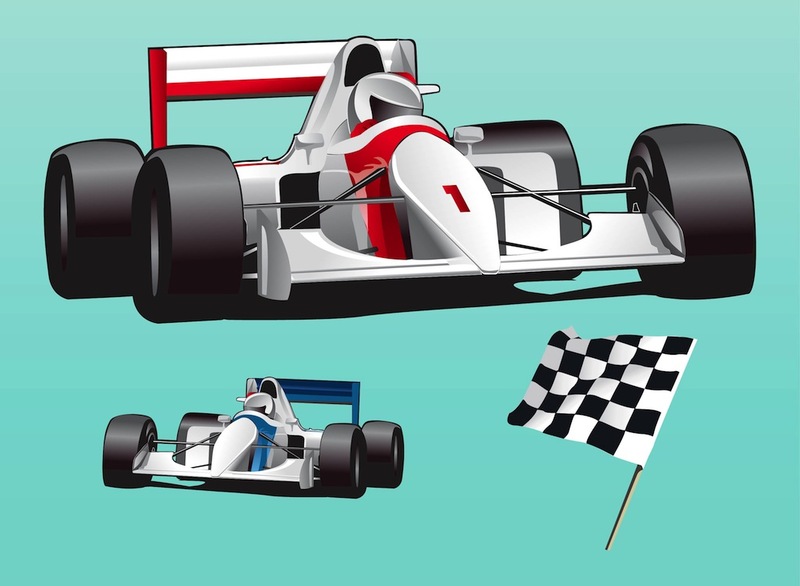 Formula One racing cars in different colors and waving flag with checkered pattern. Race signal flag and vehicles for sports, car races, racing, speed, adrenaline, motor sports and fast cars designs. Free vector graphics for posters. Generic F1 graphics in Illustrator format to create visuals for the highest class of single-seater car racing. With a global television audience of 530 million people per race, Formula 1 is the most popular motorsport and a gigantic money machine. Tags: Automobiles, F1, Fast, Flag, Race Cars, Racing, Speed, Sport, Vehicles.